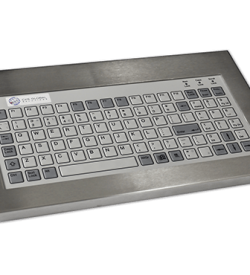 A direct rugged replacement for a standard 101/102 PS2/USB PC keyboard, the 128 series keyboard is ideal for tough applications and suitable for wash down areas. Many industrial operations rely on professionals using reliable industrial-grade computing devices. In fact, industries which have automated processes, utilise rugged PCs as the primary monitoring system. But, efficient computing operations are not solely reliant on the computer’s specs. Its peripheral devices also affect the PC’s reliability. Amongst our most recommended computer peripheral device is our 128 key rugged keyboard. 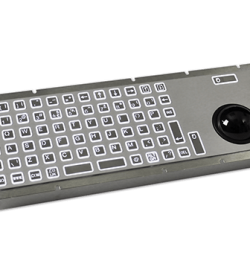 It was designed as a direct replacement for the standard 101/102 PS2/USB PC keyboard. Its stainless-steel construction makes the keys resistant to industrial cleaning chemicals. Therefore, operators can expect that this device operates optimally despite a standard wash-down procedure. Is there a process in your industry which requires not only industrial PCs, but rugged peripheral devices as well? If this is the case, then our industrial keyboard is the solution. Its high IP67 sealed enclosure prevents water, dirt, and dust from damaging the internal components. In addition, its rugged bezel case ensures functionality in temperatures ranging between -20°C to +60°C. Thus, users can access a reliable PC with a functioning peripheral device during critical operations. 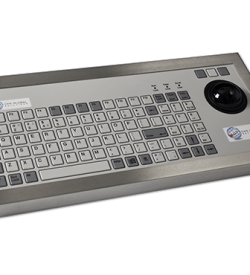 There are other features present in our ruggedised keyboard which makes it ideal for industrial applications. Read on to find our more. Many industries have critical processes which must resolve issues using accurate command inputs. As a result, industrial-grade computer peripherals are expected to function optimally despite prolonged operation times. Here are some key features in our devices. 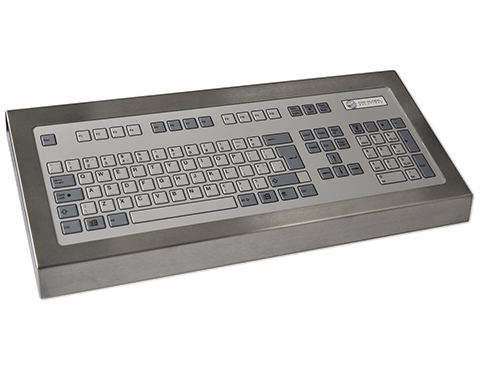 Our 128-key industrial keyboard can have a case, bezel, or flush mounting. This provides our clients with mounting options fit for their industry. Our rugged keyboard has a mean time to repair estimate of 20 minutes. It means that it takes approximately 20 minutes for technicians to resolve issues with our device. This property is crucial in operations wherein each second counts. 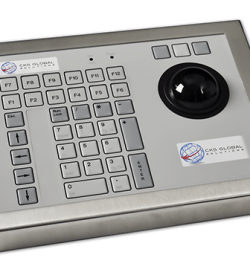 Clients can opt for custom colours and logos for our 128 key keyboard. We can work with you and build the right keyboard for your needs. Critical operations require precise computing devices with the right computer peripherals. 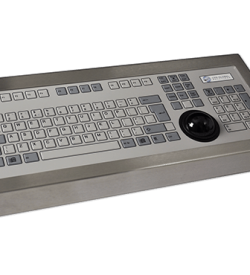 Our keyboard devices were ergonomically designed and are compatible with our rugged PC solutions. So, if you are in need of a ruggedised peripheral device, then look no further than our 128-key industrial keyboard. 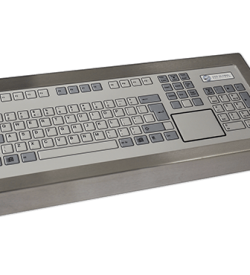 Download our free 128-key rugged industrial keyboard data sheet. Or call us through the number (+44) 01438 747111.